We know you’re busy and we want to get you loaded safely, quickly and with the minimum fuss. If you decide to collect your goods from one of our branches we ask you to consider the suitability of your vehicle before you arrive. Driver’s vison must not be obstructed. Overhangs that are dangerous are not acceptable, even if they are within the limits below. A minimum 300mm square bright red flag is required on any overhangs that cannot be easily seen. This is mandatory for overhangs beyond 1200mm past the end of the vehicle. 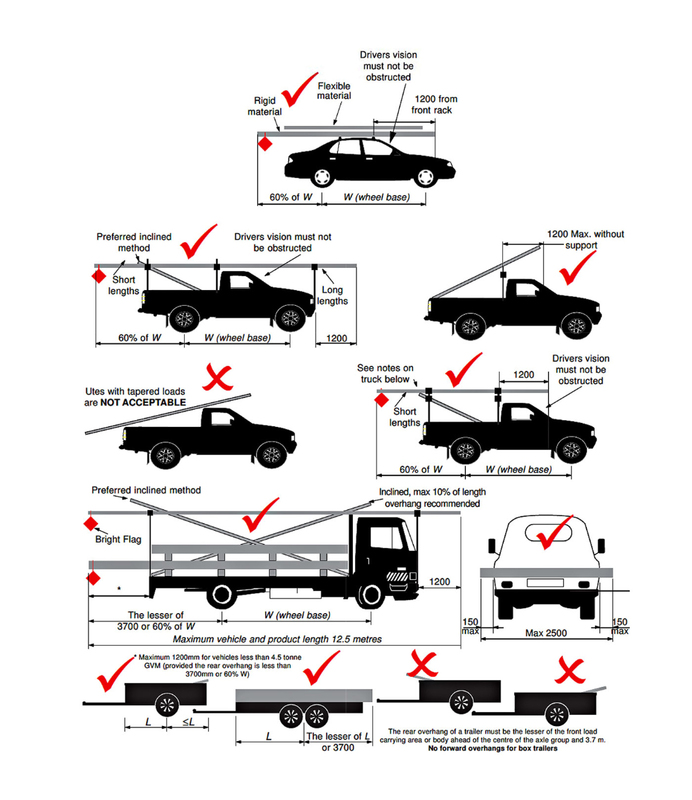 Webforge Locker will not load more than 50kg on roof racks or 80kg on Ute trade racks unless provided with written verification that the vehicle is capable of higher load. Please note that Webforge Locker is not responsible for final load lashing and securing. Please note that Webforge Locker reserves the right to refuse loading on any vehicle that falls outside of these guidelines or any other loading practice that our staff deem unsafe.